Slowly, but surely, Nintendo Switch is hoovering up every gaming release ever over the last six years. Because of that, it’s becoming something of a haven for adventure games, with the likes of Broken Age, Grim Fandango, Thimbleweed Park, and Broken Sword 5 recently cropping up on the eShop. THQ Nordic have decided to join the party by adding The Raven Remastered this week, with The Book of the Unwritten Tales 2 to follow in February, and we’re reminded that this is actually a really good adventure game. 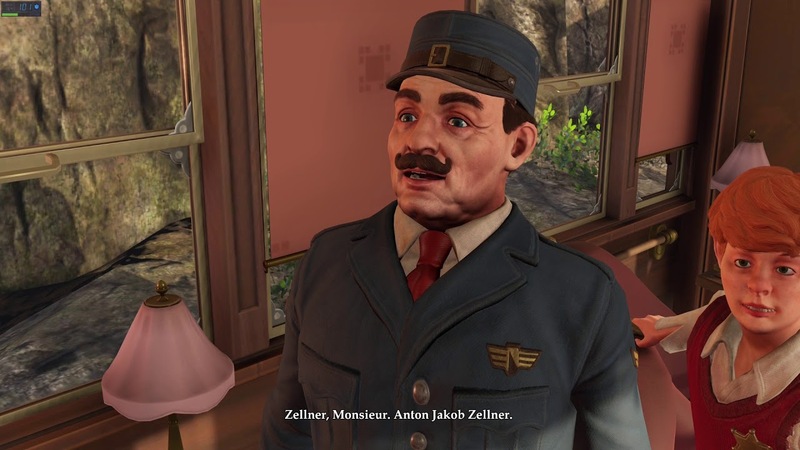 I mean, yes, the animation is ropey at times, the graphics remain grainy despite the remastering, some of the dialogue is a bit hit and miss, and the loading screens go on a bit too long, but it’s hard not to feel some affection toward Constable Anton – Don’t call me Hercule Poirot – Jakob Zellner. He’s a witty and amicable officer who is both daunted and excited at the prospect of being at the centre of a mystery that could quite easily have come out of one of his favourite books. Starting out on the infamous Orient Express, Anton soon gets swept up in a heist staged by a thief long thought to have disappeared. The enigmatic Raven seems to be one step ahead of the authorities, able to plan for every eventuality, but Anton is relentless and desperate to help, believing he can turn around their fortunes. It’s a really well designed, thought out, and ultimately enjoyable adventure, split up into three different chapters. Originally released episodically, the adventure is brought together in one package on Nintendo Switch, giving you a game with roughly 15-20 hours worth of content. Longer depending on how you handle puzzle-solving. 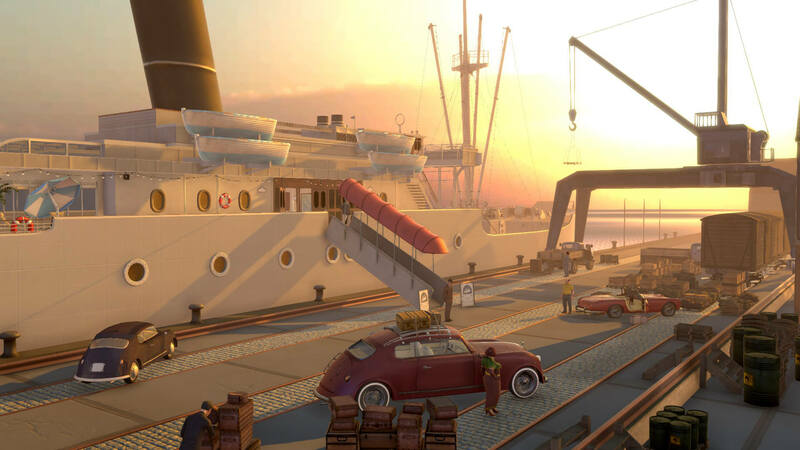 King Art have clearly been inspired by Agatha Christie mysteries in making the game, and really haven’t tried to hide it in terms of how the plot is structured and the overall setting and aesthetic. But the game has also taken inspiration from adventure game classics such as The Last Express and Frogwares earlier Sherlock Holmes games. What’s slightly different here is that you won’t be using a cursor to interact with the environment. Instead, the left stick is used to control the current character with the right analog highlighting key areas to interact with. At the tap of a button you can pick up an item, but also open your inventory and combine things together. It’s standard, modern day adventure gaming fare, save for the optional puzzles and scoring system which is a real throwback to classic Sierra adventures. The more clues you uncover and puzzles solved, the more points are added to your overall tally. It’s a very nice touch and certainly encourages you to keep your eyes peeled and even dip back in for another playthrough. On Switch, it all looks and feels as solid as other versions of the game. There’s no noticeable frame rate issues or much compromise, though if you’re playing on handheld with subtitles on occasionally a letter or two disappears off the screen. As mentioned, the character models and animations are still a bit rough, with Zellner’s movement actually a bit stunted at times. The game does also struggle a bit with overly long loading screens and widely spaced areas, but seeing them all play out on a smaller, handheld screen is actually very impressive. That said, I feel like THQ Nordic could have made more of the Switch port. It’s slightly disappointing that touch screen hasn’t been implemented. 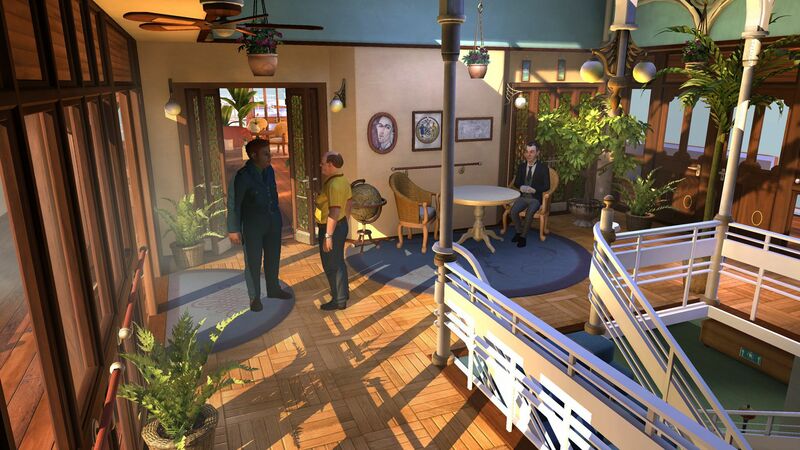 This is a natural way to play adventure games these days and works so well on Broken Sword 5. It’s also a shame the JoyCon couldn’t be used as a pointer which has also worked well in the past. By no means dealbreakers, adding these two things could have made Switch the definitive home of The Raven Remastered as it offers something no other format can at this point. As it is, this is a direct port but with the option to play in portable mode. Certainly no bad thing. What is impressive is the stunning orchestral soundtrack and the surprisingly well-acted voiceovers. They really help drive the story – well-paced and immersive on its own – by building atmosphere and adding tension appropriately and effectively. Despite a remaster, the game is starting to show its age a bit. The character models, in particular, often look out of place set against the stunning scenery and elegant backgrounds. Their facial movements often seem a bit clunky and robotic, especially in cut-scenes that, more often than not, are quite rough around the edges. Shadow and lighting do work excellently well, though, certainly in a suspenseful scene. For a good old fashioned murder mystery, King Art have really got the tone just right and with some well-designed puzzles, good narrative twists, and various characters to play with, The Raven Remastered is as good an adventure game as we’ve seen in the last decade. Personally, I see Switch becoming the home of the adventure game over the next few years. Between the portability and interactivity, it’s a natural fit for games like The Raven Remastered. And with the likes of Unavowed, Mage’s Initiation, Guard Duty, and Day of the Tentacle Remastered yet to make the jump, there’s plenty of options for new content as well.